We have stayed at this location many times and it was a pleasant surprise to see the upgrades they have completed. Lobby was very nice and welcoming, room was very clean and well taken care of, the lamps for lighting were just enough and weren’t sterile like most overhead lamps, walls made of brick so you barely hear other guest. Great stay! Had a great time! The room was clean and the check out staff was great. I liked that we got robes and complementary water bottles in the fridge. The room was clean with all the standard amenities at a good price. Free parking which is always what I look for. Well located for easy access to most parts of the city. Very clean & quiet room! The staff were pleasant and checked us in quickly. The room was exceptionally clean & we felt comfortable here. I loved that the large picture window opened as well. The staff were very helpful when dealing with my request to switch rooms due to fans in the hallway that were too loud and disrupting my sleep. The new room they put me in was great. This was my second time staying, hotel and rooms were very clean, quiet and beds were comfy! Also great location. 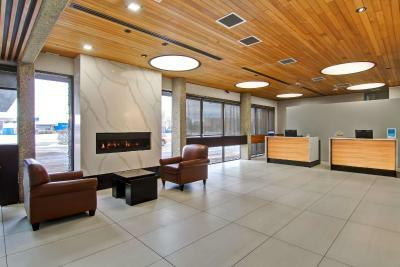 Best Western Cedar Park Inn This rating is a reflection of how the property compares to the industry standard when it comes to price, facilities and services available. It's based on a self-evaluation by the property. Use this rating to help choose your stay! The Best Western Cedar Park Inn is located near Gateway Boulevard North and Calgary Trail. Free Wi-Fi is provided in all areas. An indoor pool is featured on site. West Edmonton Mall is just 7.5 miles away. A cable TV and a desk are featured in each room at this hotel. A microwave is also provided. Free toiletries and a hairdryer are included in the private bathroom. A 24-hour front desk and a business center are available for guests' convenience at the Cedar Park Inn Best Western. A fitness center is available for guest use. A restaurant and a bar are on site. Rexall Place is a 15-minute drive from this hotel. The University of Alberta is 3 miles away. When would you like to stay at Best Western Cedar Park Inn? 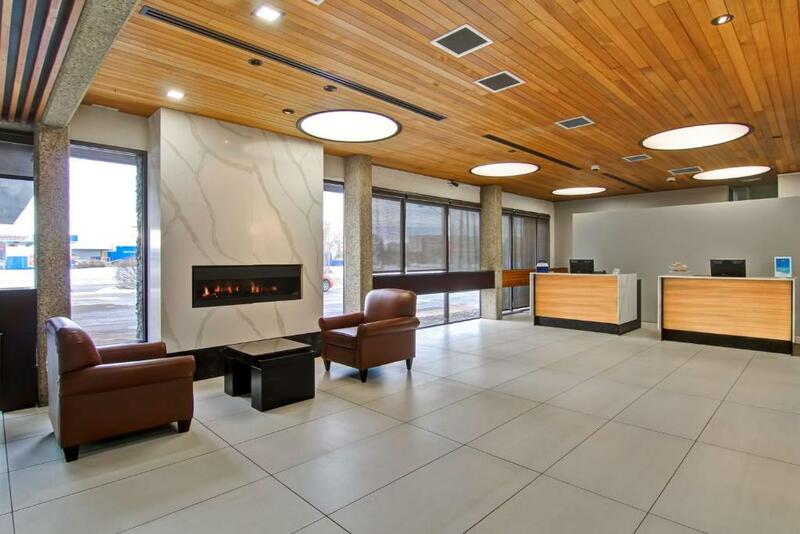 Recently renovated 195 room full service property equipped with restaurant, lounge, fitness facility, pool, meeting space and pet friendly rooms. Red Arrow stop on site. House Rules Best Western Cedar Park Inn takes special requests – add in the next step! Best Western Cedar Park Inn accepts these cards and reserves the right to temporarily hold an amount prior to arrival. Please note this property does not accept cash, debit, Visa debit or pre-paid credit cards as a form of payment. Please note the pool will be closed until 28 February, 2019. Courteous friendly staff. Breakfast was very good. The bathroom had not been cleaned there was dried pee all over the toilet. Alot of noise between the rooms. I could hear the room above me alarm clock go off. The mattress needed to be replaced it was very lumpy and uncomfortable. The bathroom was scary looking had a lot of things poorly screwed into the ceiling (panels). The pool was tiny and the elevator was pretty sketchy. The continental breakfast was ok other then their pancake dispenser stopped working. The staff was very friendly and we had a balcony in our room. Complimentary breakfast could be open longer! Staff were amazing and fully helpful with all aspects of our stay! The vlt lounge was very small. But excellent service by the lone employee. Staff are fantastic Location is perfect. From the efficient and friendly checkin with Mandeep to all the other staff we encountered throughout the stay.Staff at breakfast were courteous and efficient. The Dining room is spacious and beautifully kept and managed.Staff kept replenishing the food without any wait time in between. The room was clean and quiet, the bathroom was well replenished.